A terrain release this week across us and our sister brand The Ion Age. 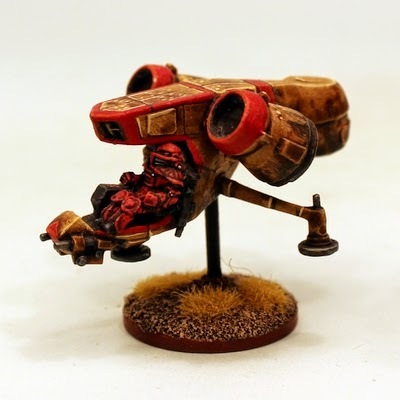 Not as glamorous as our usual goodies for wargaming (such as the HOF105 Galactic Knights) but high quality and very useful for any genre of wargaming and indeed scale. 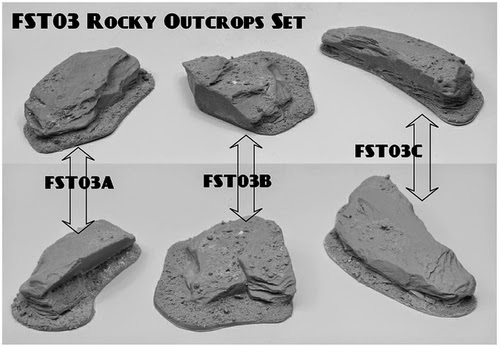 Our brand new FMS03 Rocky Outcrops were actually created originally for our internal use for playing games such as Patrol Angis (yet to be released at The Ion Age) or Alien Squad Leader or even Flintloque as scenic terrain pieces to be placed as chosen on the table terrain but we have chosen to release them too. 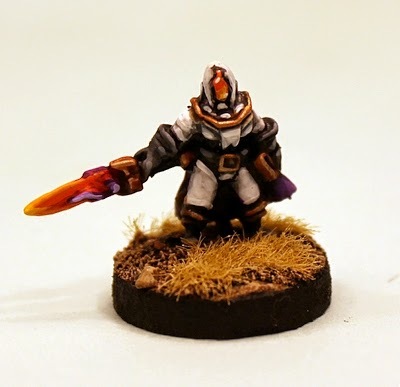 They are scale elastic and can be used with 6mm, 15mm, 28mm miniatures and in anything from science fiction to historical and fantasy wargaming. 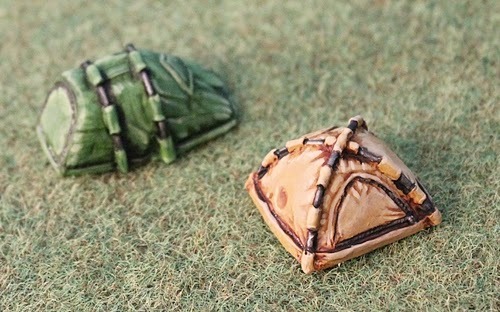 They are highly detailed but can be painted up as chosen for woodland, desert or even with Martian (ohhh la!) features. This pack comes with three different highly detailed polyurethane resin terrain pieces depicting large several levelled outcroppings of stone or rock. The three pieces are as follows. Firstly (FMS03A) the medium sized 90mm by 50mm and 20mm tall rock with a recessing rear side, secondly (FMS03B) a larger rock with a sheer rear and small area to the front sized as 85mm by 75mm and up to 25mm tall and lastly the wall like rock (FMS03C) the largest at 115mm long, 45mm wide and 25mm tall. Versatile and you can buy the set or buy three sets and save 10% along with a choice also of purchasing single rocky outcrops as well. Price per set is 8.00GBP. Go HERE. "Veritable tent city it was. Well it would be, they was all in tents at the time. A whole town evacuated before the K-Strain took the streets and the dead heads were stumbling all over the shop. We put bullets into the heads of every Zed we seen and kept those people safe...well nearly all of them. Few of the tents got some extra visitors." 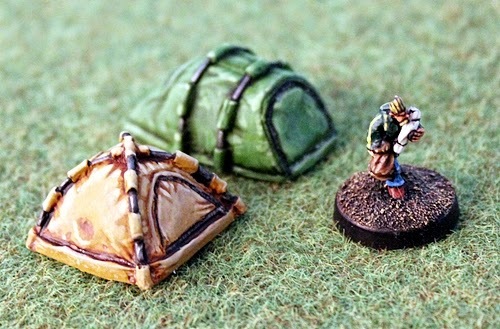 We have two great packs released back at the end of March 2014 of Modern Tents in 15mm scale resin suitable for many uses in modern, near future, science fiction and zombie war settings which were the first releases in the FMS series. Two different styled Modern Tents in FMS01 and in FMS02 two different torn tents which have been subject to a vicious animal or man or even Undead attack. 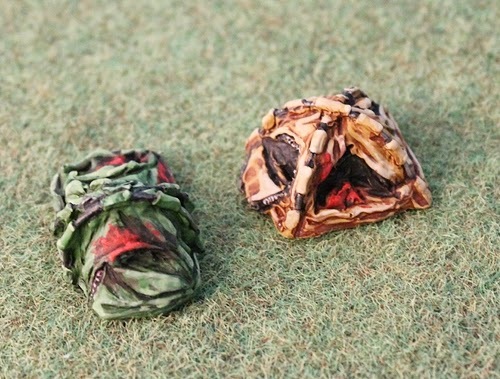 Price per two tent pack is 2.00GBP. Go HERE. I would like to thank everyone who came in on our set of One Week Offers which ran for the last week. We will be looking at the results and thanks for your emails suggesting future offers we could make too. 15mm.co.uk has not yet decided if we will run these offers again but we will of course let you know if we do. 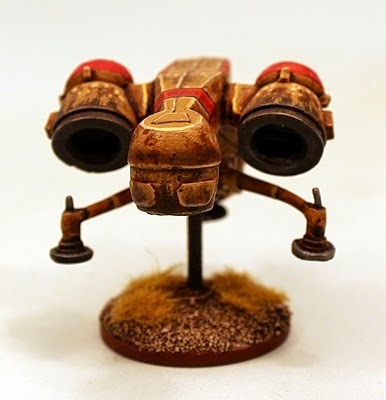 HOF 15mm Science Fiction Range – The Octopods! 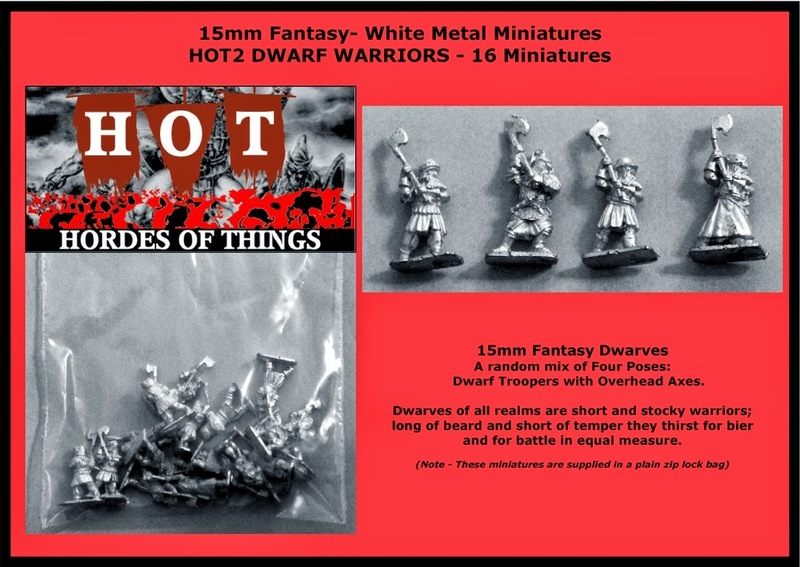 HOT 15mm Fantasy Range – The Dwarves! 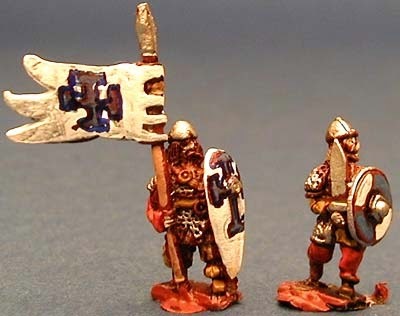 Isarus 15mm Dark Age Range – Vikings! Go HERE for our Deals and Offers page. These offers last for one week from today 19th June 2014 until 26th June 2014 with our next release update. Please note the 20% price reduction is directly applied to codes and no code is needed simply add to your cart. These are alongside the standard 'buy three save 10%' choice on the codes for the duration of this promotion. This is a prefect opportunity to try something new for your collection or to expand it. We may run another group of offers like this next month if demand is there (we do not normally do these sort of promotions) so if there is something from our ranges you would like us to consider putting on offer email us and let us know. 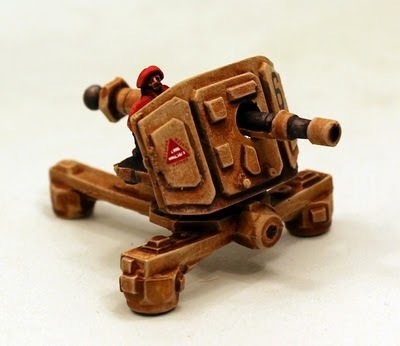 One of the lesser known Laserburn classic 15mm science fiction vehicle codes this week; the Heavy Laser Cannon. 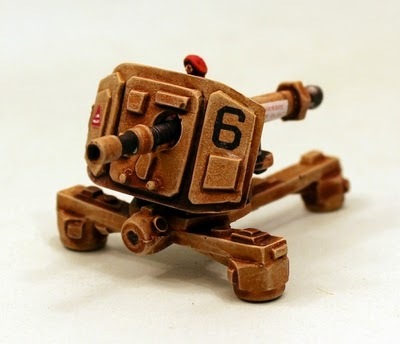 Dating from the early 1980's this artillery piece was among the first ever made for this scale of science fiction wargaming. We elected to keep the Heavy Laser Cannon in white metal due to its complexity and number of smaller pieces but its now in new molds and looking super crisp. Its a useful piece and can be put to many tasks and even now there are almost no field guns like this in the genre. We are pleased with the result and we hope you all are too. 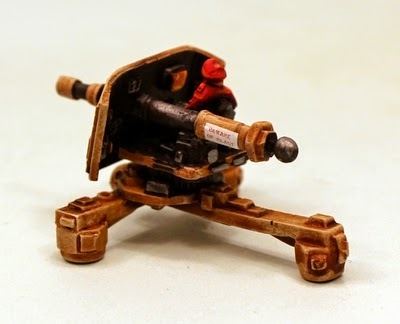 A powerful energy weapon in the form of a field gun with a human gunner ideal for many 15mm campaign settings. This code contains all the needed white metal re-mastered parts required to assemble the Heavy Laser Cannon. Dimensions assembled are approx 50mm long and 30mm wide. A classic Laserburn model once more back in production. Go HERE. Before the team at 15mm.co.uk began the process of re-mastering the Laserburn vehicle range Sam Croes (lead designer at The Ion Age) and I had a series of conversations about the miniature range and its wonderful place in the history not only of wargaming but also the literal creation of what is now 15mm science fiction wargaming. 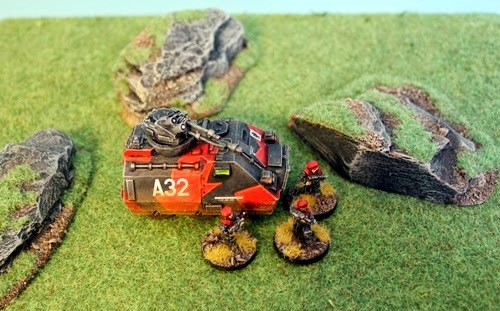 Sam Croes has assembled a small personal collection of Laserburn miniatures and some of the vehicles too. This is a short posting about his personalised Sabre Jet Flyer. I was asked by a fair number of 15mm.co.uk customers after a reference to this personalised Sabre if we would show it to you all. Well here it is. Enjoy. 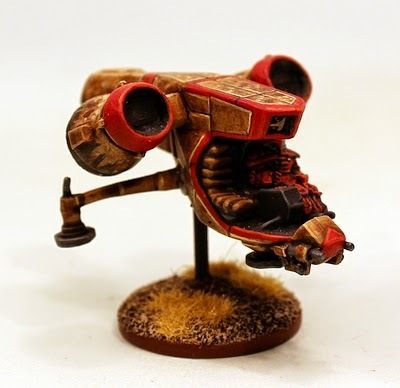 The paint scheme is one of the standard Imperial ones that goes well with desert worlds such as those favoured by the Redemptionists and the twin mottled yellows and strong red go well with Imperial powered armour. Depicted in flight the Sabre might well be on patrol and the jet pods are angled for flight. The Imperial pilot was altered slightly in order to fit into the civilian sized seat. This modification was made by thinning down the back of the miniature and was straight forward. Since the standard Sabre is unarmed a pair of small guns were added to the nose of the flyer. While Sam Croes made these from scratch it would be an easy affair to add Laserburn Robo-Turrets to the nose or indeed top of the Sabre. Its a great personalised small vehicle when paired up with a squad of Imperial Troopers. HOF105 Galactic Knights pack released! 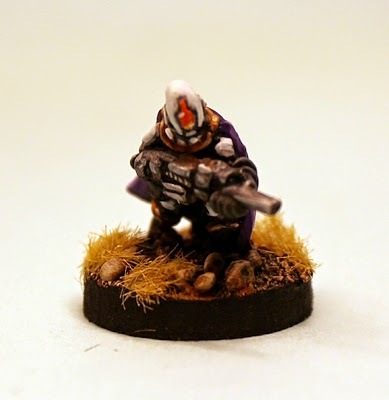 This code contains 10 white metal 15mm scale miniatures in a random mix of four different space opera human poses. Armed with energy swords, pistols and rifles and wearing finely detailed and jewelled powered armour with a cloak. As with all of our HOF codes you can choose to purchase one pack or three packs and save 10% off the price automatically on screen. You can also choose individual poses from the pack at a great price which is a way to totally customise your purchase. 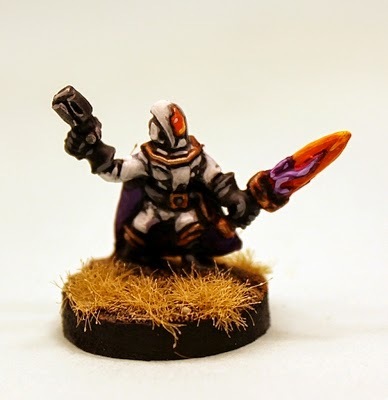 All miniatures are supplied unpainted and without bases (basing in the pictures at 20mm Rounds). All miniatures are one piece castings. Go HERE. These miniatures were sculpted by Sam Croes as a result of a really fun art jam earlier this year. Sketches passed between a few talented and created people which formed gradually into a fantastically space opera set of miniatures. Art Jams are not the normal way that we come up with ideas for new miniatures but it was an excellent new experience for all of us and much more like what I imagine must occur in the computer games and film industries. Who will save the universe from the fantastical evils that threaten innocent humans and the like? Galactic Knights of course! 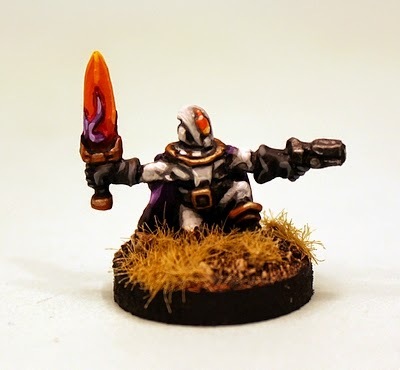 If there is enough interest in this new pack of HOF miniatures then we will be more than happy to expand the Galactic Knights into a full force including command, support and so on. I have a number in mind but if you are really keen to see more of these fellows then comment or send us an email at 15mm.co.uk.